Kathy Ralston, long-term director of the Department of Social Services in Albemarle County, is retiring today, June 30. At the Board of Supervisors meeting held on June 3rd, Kathy was recognized for her outstanding efforts during the past 39 years at Albemarle County Department of Social Services (ACDSS). She served 18 years as Director, with an additional year as Acting Director, and 11 years as Deputy Director. During her tenure at the Department she strove to achieve the principles of a high performance workplace in order to best serve the needs of the residents of the County, especially those who are most vulnerable. In recognition of her numerous contributions to the community and as a champion of the ACDSS mission to provide services that promote self-sufficiency and support individual and family safety and well-being, Kathy was awarded the 2001 John L. Snook Award for child advocacy. Under Kathy’s leadership, the department was awarded Senate Productivity and Quality Award (SPQA) recognition in 2007 and 2011 for its efforts and achievements in continuous quality improvement. Kathy was a champion for the expansion of the department’s service array to include school-based prevention and collaboration with the County schools to provide the Bright Stars pre-school program. The department was also recognized with the Alliance for Innovation Award in 2009. During her tenure with ACDSS, Kathy was active in statewide and local organizations focused on the betterment of our community, including multiple committees of the Virginia League of Social Services Executives, statewide committees including Governor Wilder’s Welfare Reform Task Force and Governor Allen’s Advisory Panel on Welfare Reform, Action Alliance for Virginia’s Children & Youth Advisory Council, and Prevent Child Abuse Virginia’s Executive Committee. Her list of involvement on local community teams, workgroups committees, task forces and Boards was extensive. 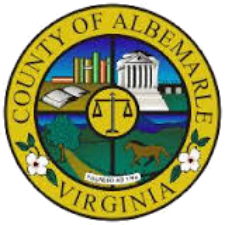 County Executive, Tom Foley, will be recommending an appointment of a new Director to the Board of Supervisors at the July 8, 2015 BOS meeting. Assistant Director John Freeman will serve as Acting Director in the interim.